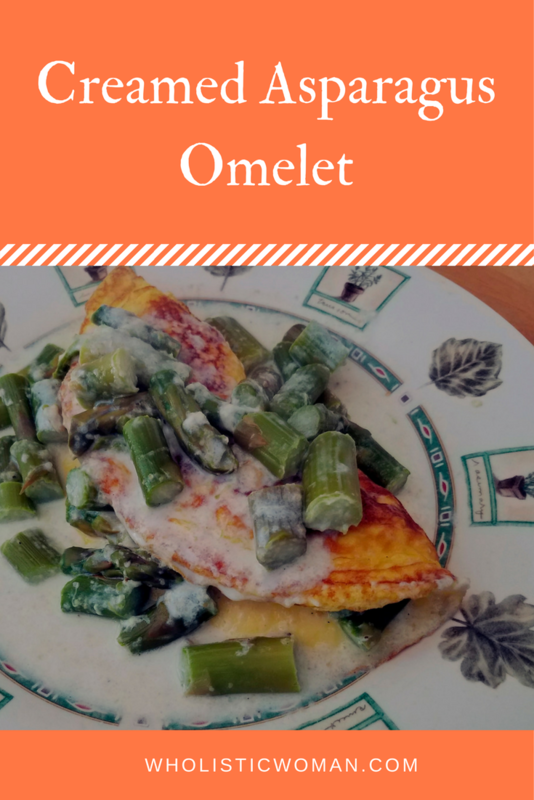 I’m wrapping up #BrunchWeek today with a healthier recipe than the Strawberry Rhubarb Almond Rolls or Apple Sausage Cheddar Oven Pancake: A Creamed Asparagus Omelet! This recipe is based on the Creamed Spinach Recipe from Simply in Season. I couldn’t figure out why the cream wasn’t as thick as when I made it with the spinach. Then I remembered that back when I made it with spinach, I was using raw milk. I have since stopped getting raw milk (I love it and believe it is the healthiest option, but my husband and I don’t go through much milk and there was a minimum amount we could get as a share). I used 2% milk for this version. In hindsight I would have either used cream or used less milk. So keep that in mind when you go to make this on your own. Pour desired amount of egg mixture on a nonstick pan. Allow to set, then add the desired amount of asparagus mixture, fold over and serve. Don’t forget to enter the #BrunchWeek giveaway! See list of prizes here. 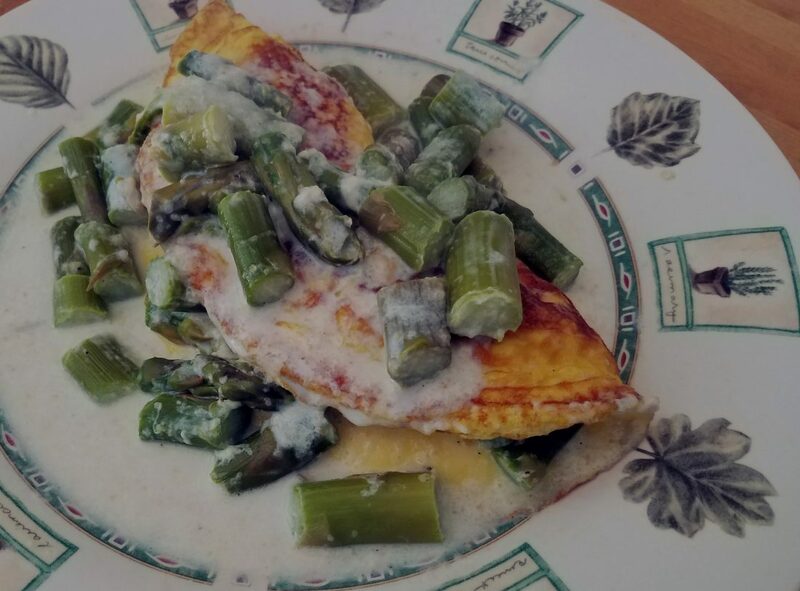 eggs and asparagus are a natural together.